Los Angeles teachers reached a preliminary agreement yesterday, bringing an end to their strike. 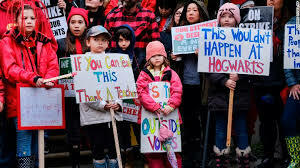 The teachers went on strike on January 14, causing schools to lose over $125.1 million and leaving 600,000 students without classes. Around 32,000 teachers went on strike because their voices weren’t being heard. The strike drew national attention.